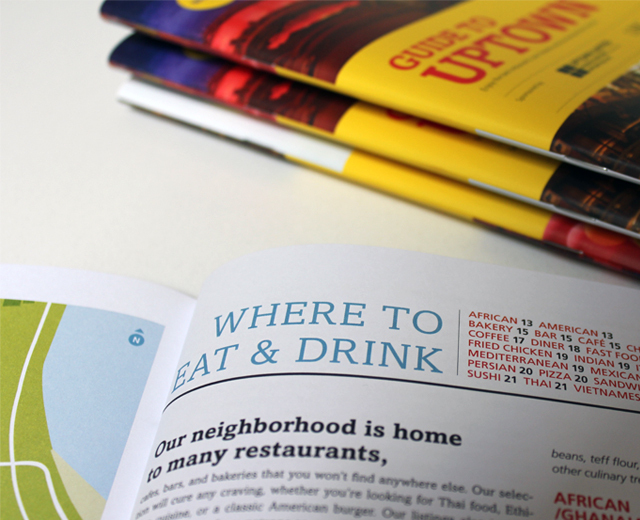 The Business Partners, The Chamber for Uptown came to us to update their neighborhood guide. 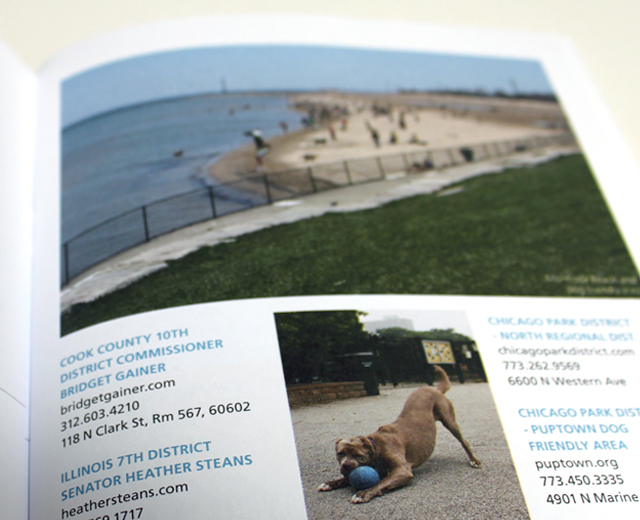 They wanted a piece that would highlight the rich history, resources and local businesses of Uptown. 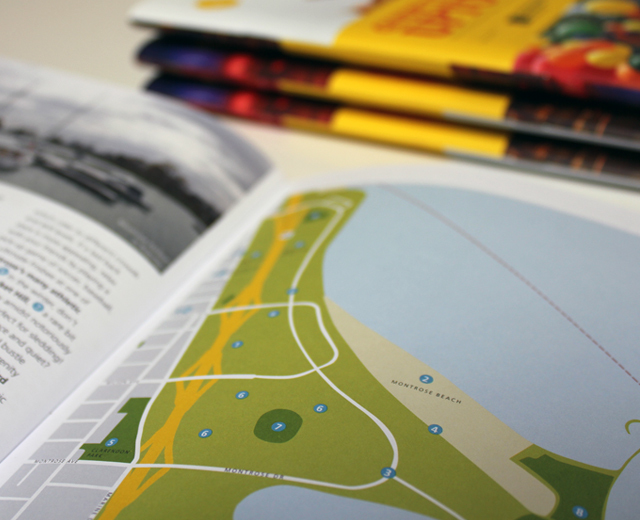 For ease of use, the sixty-four page book has both a Day and a Night section with double covers. 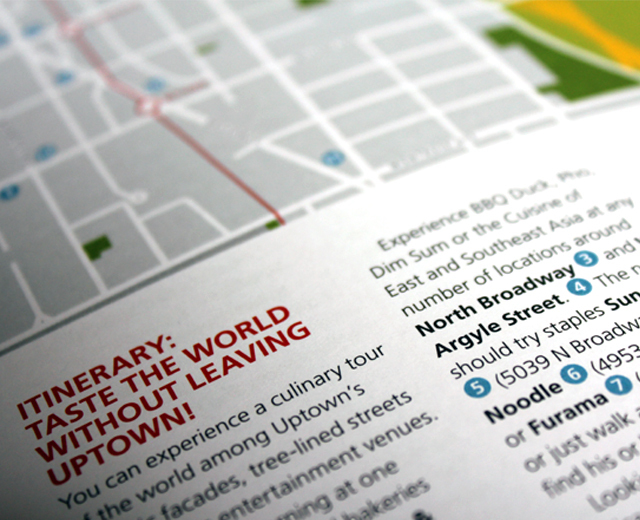 The Guide to Uptown Day section lists resources, local businesses, daytime itineraries with maps. 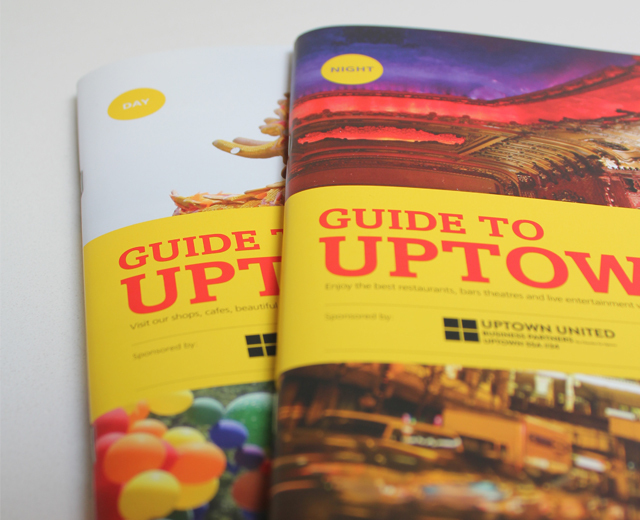 Flip the book to read The Guide to Uptown Night section with a list of local restaurants, bars, theatres and live entertainment venues.